Tamlite Lighting, one of the UK’s leading manufacturers and designers of lighting, is launching the AXIS recessed LED module, which provides excellent glare-free illumination for offices. 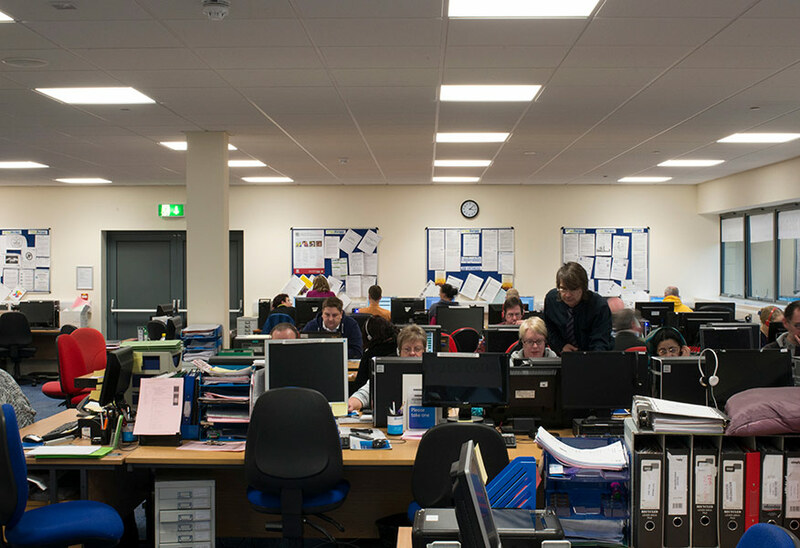 The energy saving benefit of upgrading office lighting to LED is widely known, but less emphasis has traditionally been placed on the effect modern lighting can have on staff health and wellbeing. The high-performance AXIS LED module has been designed with the key requirements of the office environment in mind, providing high quality, evenly distributed light and reducing the problem of glare by precise optical control of the light distribution. As part of Tamlite’s 2020 portfolio of products for the projects and specification market, the AXIS has been designed and manufactured in the UK, representing the cutting edge of home-grown lighting research and development. The AXIS has been designed to be flexible, with three different outputs offered for low, medium or high spacing layouts. Suitable for both general and task area lighting, the AXIS comes in a range of colour options: neutral white (4000k), cool white (5000K) and warm white (3000k). To reduce glare, it has been engineered with a Tamlite I-Tech profiled diffuser and a centre nano prism optic. The carefully considered design helps lighting designers comply with EN-12464 – the European standard for indoor lighting. What’s more, the AXIS has a colour rendering index (CRI) of Ra>80, depicting colours naturally to further improve the office environment. Importantly, the AXIS has been designed with both energy saving and excellent light quality in mind. It is highly efficient, with an efficacy of 120 lm/W, and a 50,000-hour lifespan. There is also a version available for emergency lighting, and DALI compatibility allows the light to be easily dimmed and controlled.